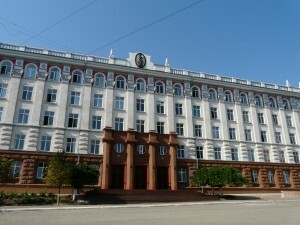 The Academy of Sciences of Moldova (A.S.M.) is the highest scientific forum of the state, and represents the only public institution of national interest in science and innovation sphere, it is a plenipotentiary coordinator of scientific and innovation activity. Also, it is a scientific consultant of the public authorities in the Republic of Moldova and has a Statute of Autonomy and acts on the basis of self-administration principles. The constitution of the scientific academic sector in the Republic of Moldova was initiated immediately after the Second World War (1939-1945). It had a constructive impact over further science evolution in our country, as follows: diversification of investigation fields, fundamental development researches in the contemporary science fields, capitalization of scientific, historic and cultural patrimony, implementation of scientific researches results in the national economy. By the end of 1980’s the Academy of Sciences has become the main scientific center in Moldova. At that time the Academy staff members were more than 5300, a majority of 1312 were scientific researchers, including 125 PhDs and 824 Doctors in Science.